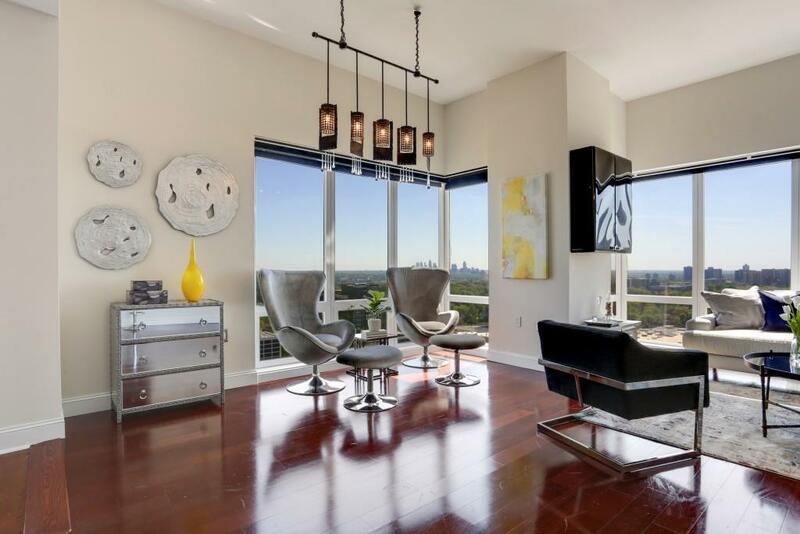 Penthouse Living offering sweeping views of dwntwn & Stone Mountain! 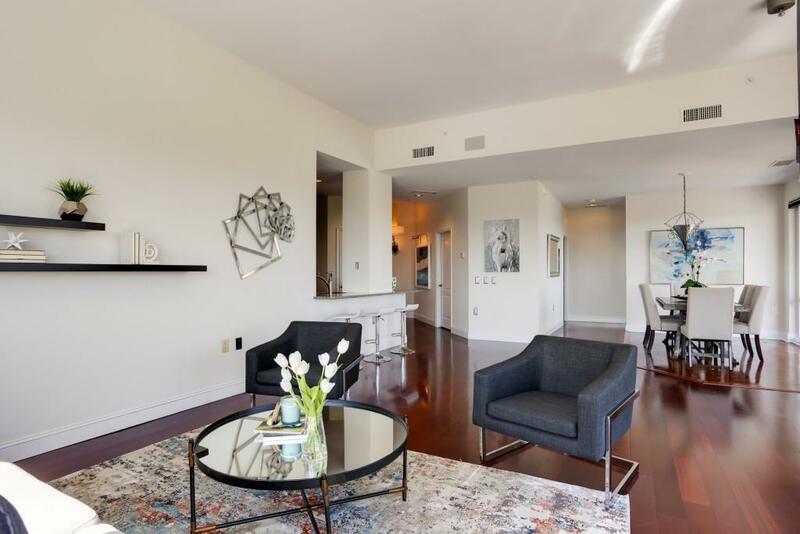 Bright end-unit offers hardwood flrs thru out, lrge windows, designer lighting and custom cabinetry throughout. 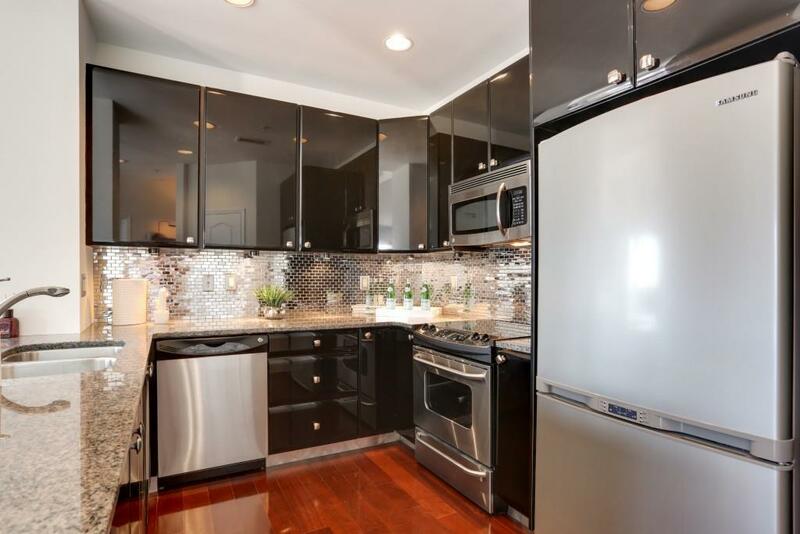 Kitchen includes SS applncs, recessed lighting, & breakfast bar open to dining & living rm. Master ste shines w/floor to ceiling triple wndw, large shower & vanity. 2nd bath offers large shower, Min to Lenox & Phipps Mall as well as many restaurants & cafes.